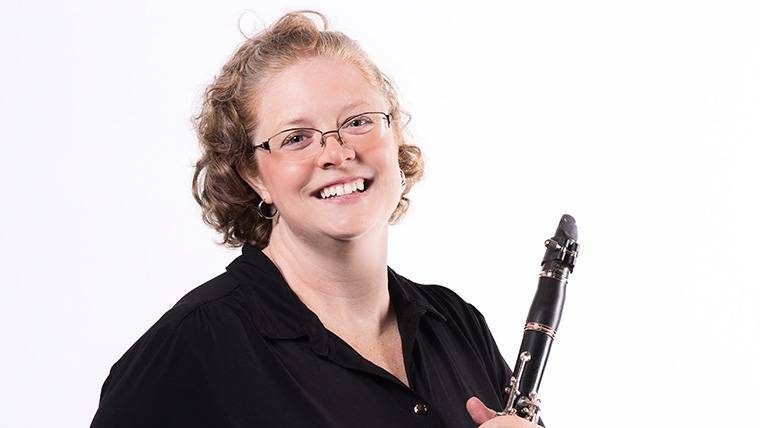 Christine Bellomy completed doctoral studies in clarinet at the University of Iowa in 2004. She holds positions in several Iowa ensembles, including principal clarinet in the Orchestra Iowa, second clarinet in the Quad City Symphony, and principal clarinet in the Cedar Rapids Municipal Band. In August 2006, she was invited to play a recital and teach master classes at the Universidade Federal do Rio Grande do Sul in Porto Alegre, Brazil. Christine enjoys chamber music, and performs regularly in a variety of venues. When not performing, teaching, or working as a cataloger in the University of Iowa Libraries, Christine enjoys reading, dinners with friends, and card games. Not sure I have one. I love about every piece by Brahms or Shostakovich though. Originally, my mother, who sang and played guitar. Later it was my teachers. Although I have heard some wonderful playing by a variety of truly outstanding musicians, I am inspired by the wonderful, consistent playing of my woodwind colleagues in Orchestra Iowa. Well, I currently work full-time as a cataloging librarian. I have a private studio of clarinet students. I originally assumed I would teach college someday, but I truly love teaching young clarinetists. Diet Coke, water, and carbonated water, reliably, as I love cold beverages. If food, cheese, celery and ice cream.